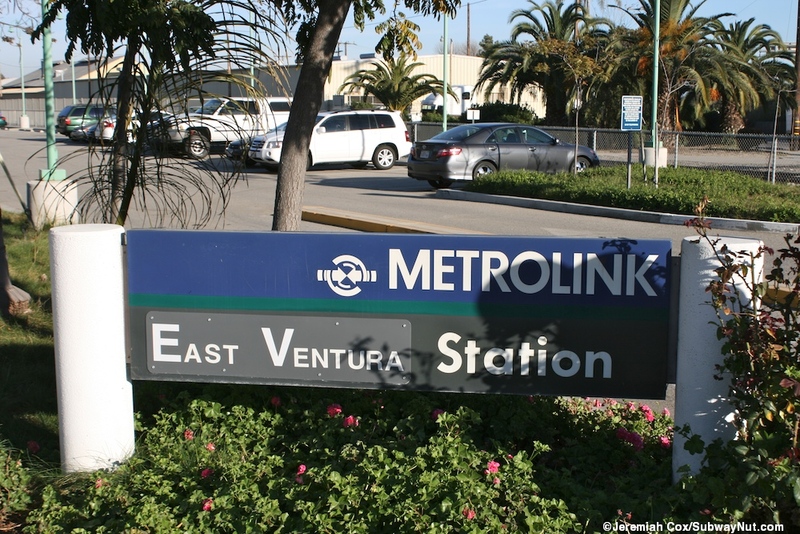 East Ventura (May 9, 2010 to Present) previously named Montalvo (from the stations opening in approximately December 2002), for the neighborhood of Ventura it is located in. 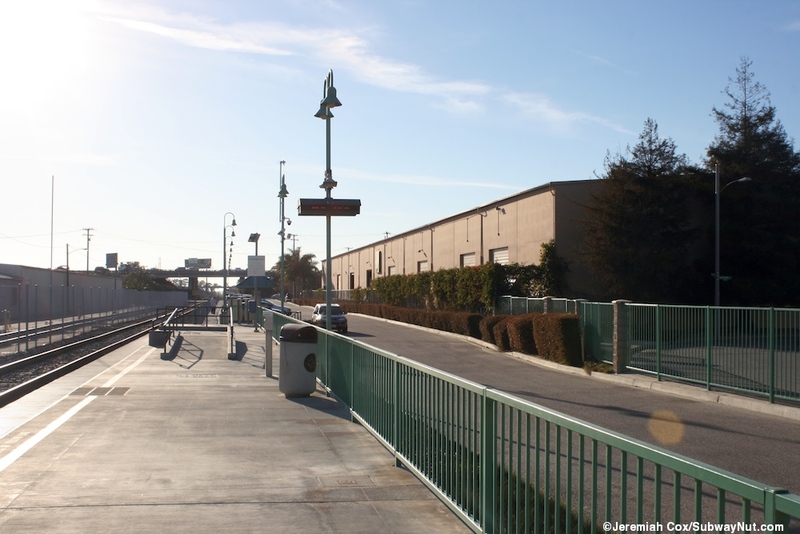 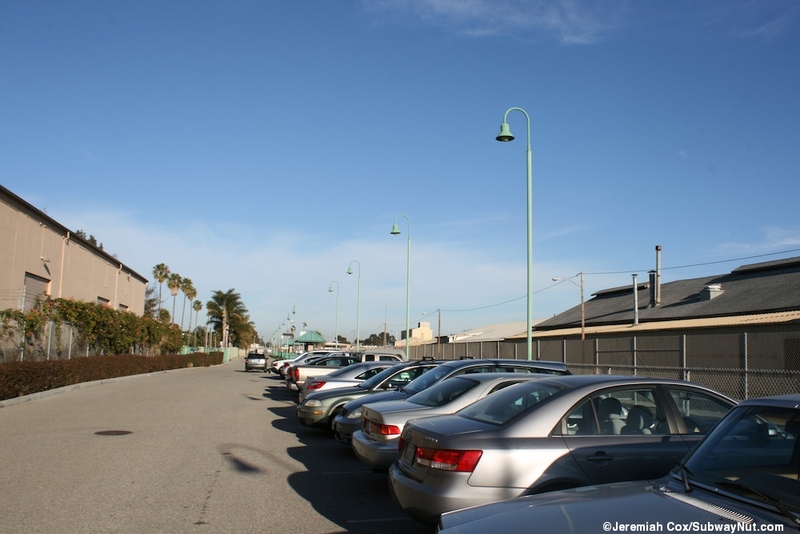 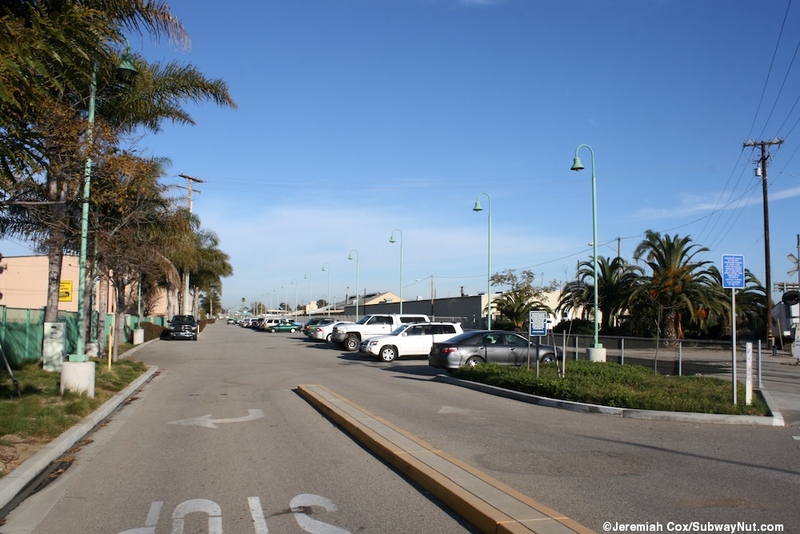 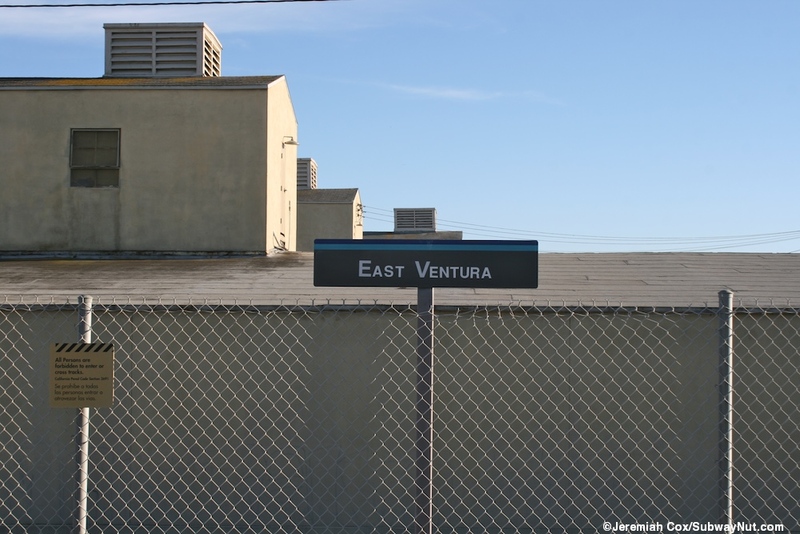 Building the station was controversial because of both its still tiny ridership and residents feeling that Ventura needs a unified transit center. 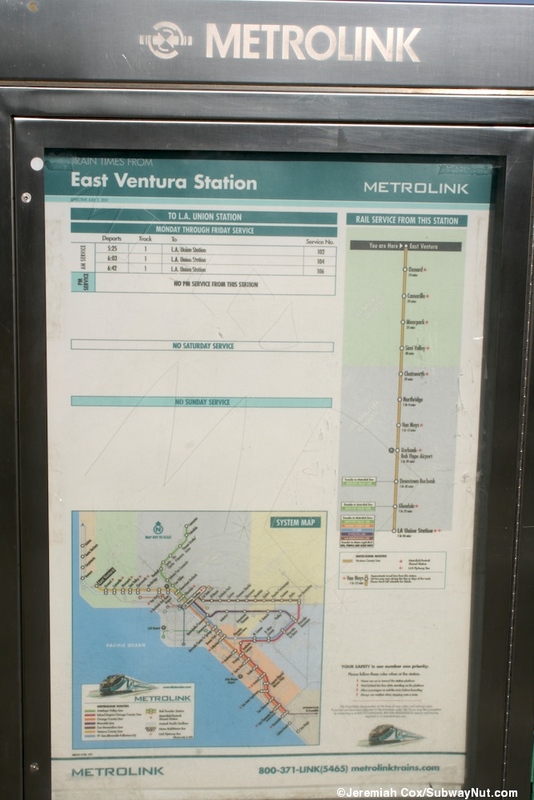 The terminus location for the Metrolink Station was chosen because it is where two (at the time, now three) transets are stored overnight. 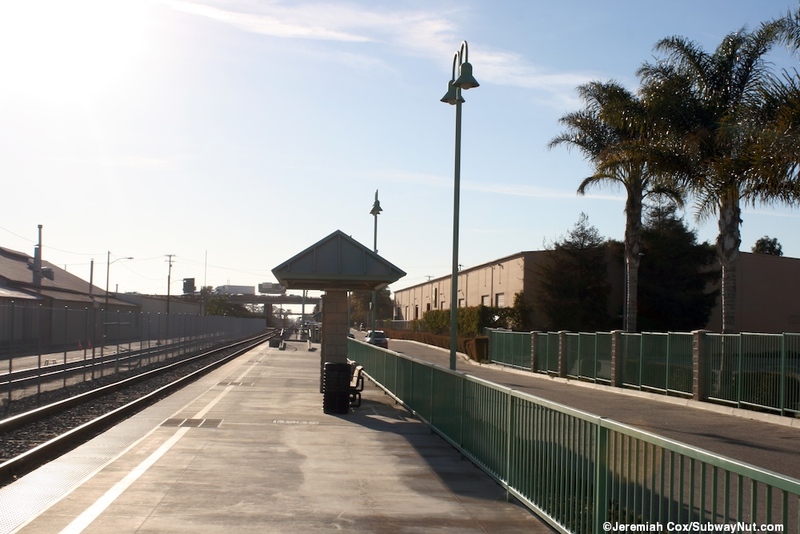 It is on the edge of the northern side of a wye off the main line shared with the Pacific Surfliner. 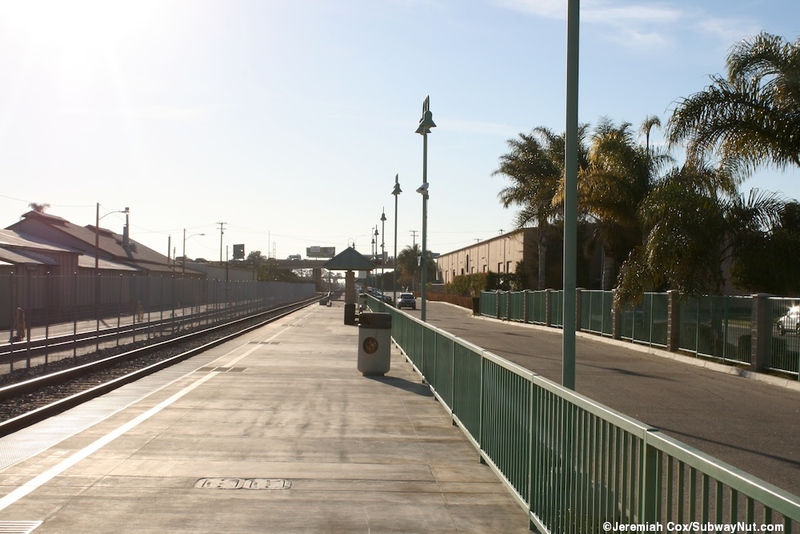 Trains must back into the station from either direction of the wye when they stop. 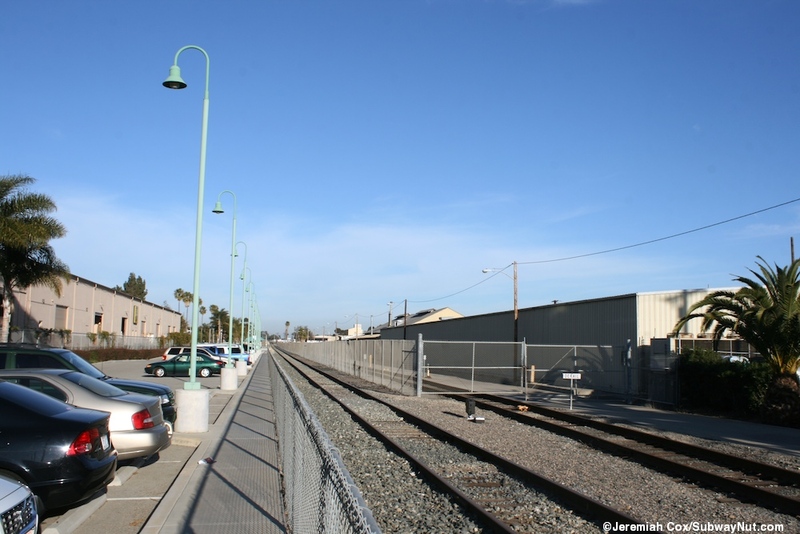 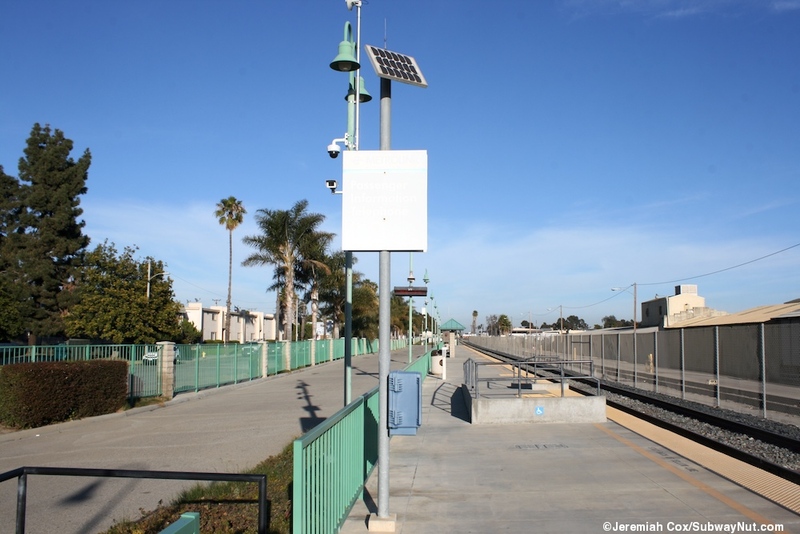 The station has a single side platform built on the second track across from the other single fenced in storage track where Metrolink trains have been stored since Ventura County Line trains were extended to Oxnard in 1994. 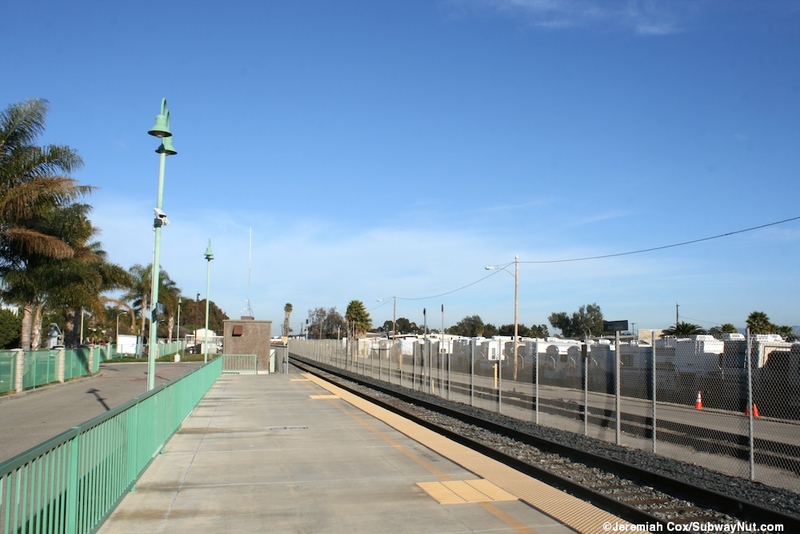 The station only receives service from the three trains, making three round-trips per day (when Amtrak is included this is the station that gets the Metrolink minimal service award) stored on the station's single fenced off storage track. 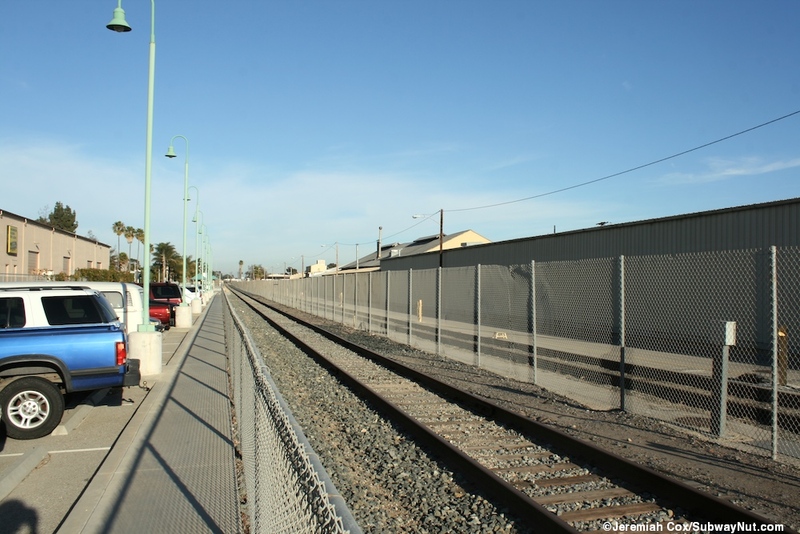 Access to the station is even problematic with a tall fence funneling all access from Ventura Blvd west of the station, at a grade crossing of the wye. 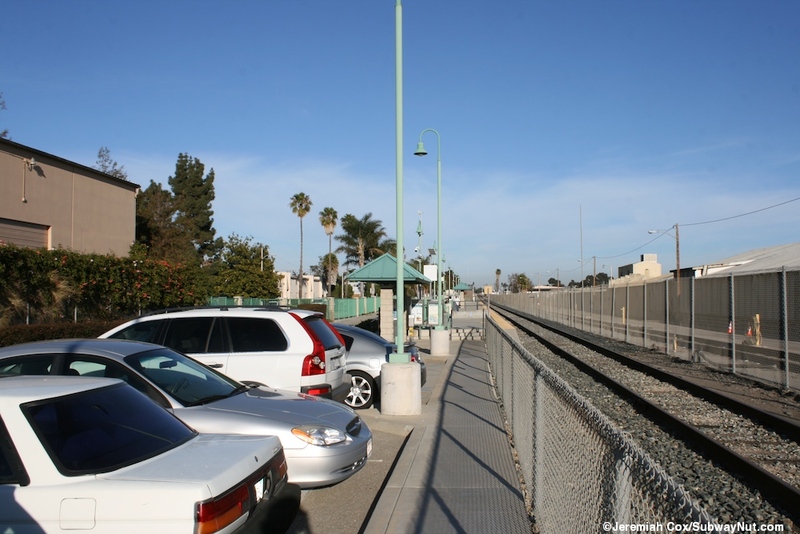 This narrow access road is extremely simple with first a line of 60 parking spaces along the track before the platform is reached, pedestrians must walk by these 60 spaces to reach the platform. 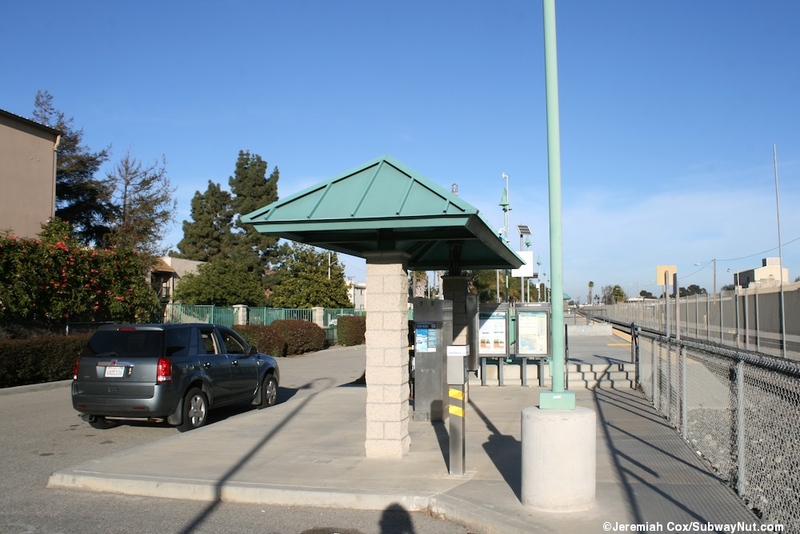 The access road continues along the platform with no further parking spaces but to serve a gate at the opposite end for what looks like a gated off parking lot for what is still called the Montalvo Metrolink Crew Base. 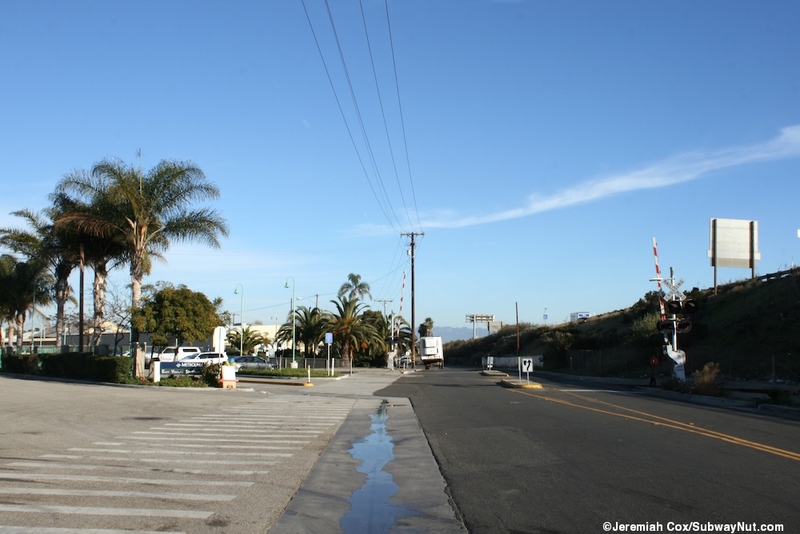 Houses of the surrounding community of Montalvo are visible along the access road but a tall green fence (not even jumpable) with a locked gate in one place restricting local access from Nightingale Street, requiring all pedestrians to go around about four blocks to reach a train. 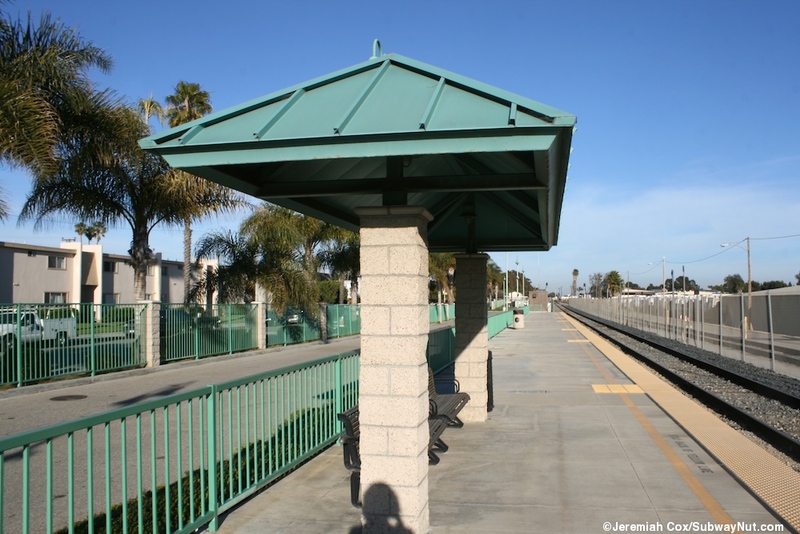 The low-level platform itself, begins with first a shelter over the station's one TVM before a ramp leads up to the western end of the platform. 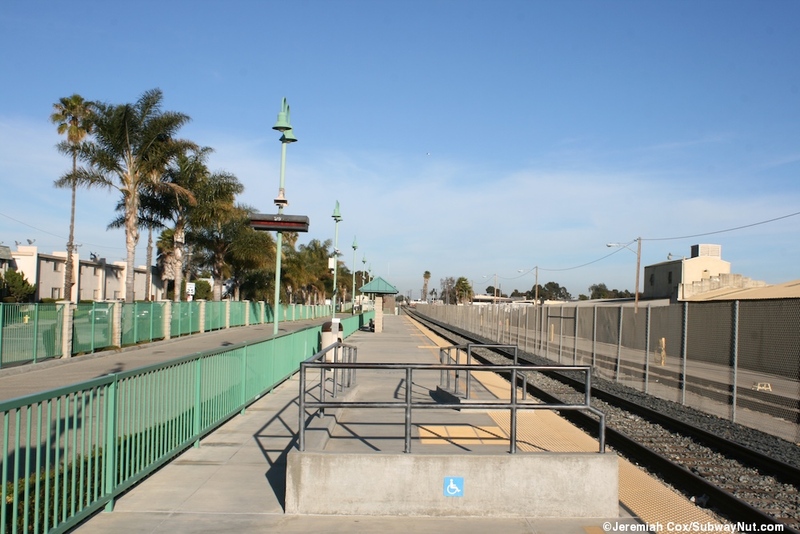 There is the first wheelchair mini-high platform at this end (meaning this is where the cab car is with trains backing into the station from the eastern side of the wye). 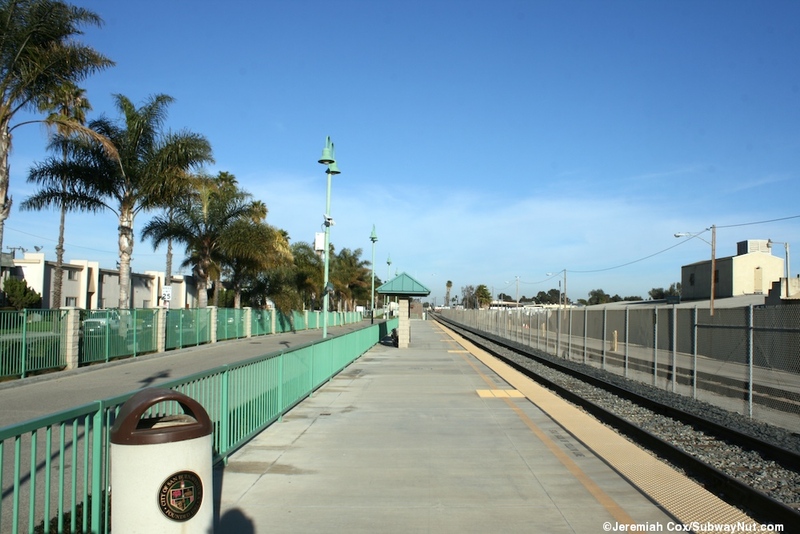 The rest of the platform has a low green fence, some trash cans with City of Ventura seals and a single small canopy with a few benches for waiting passengers. 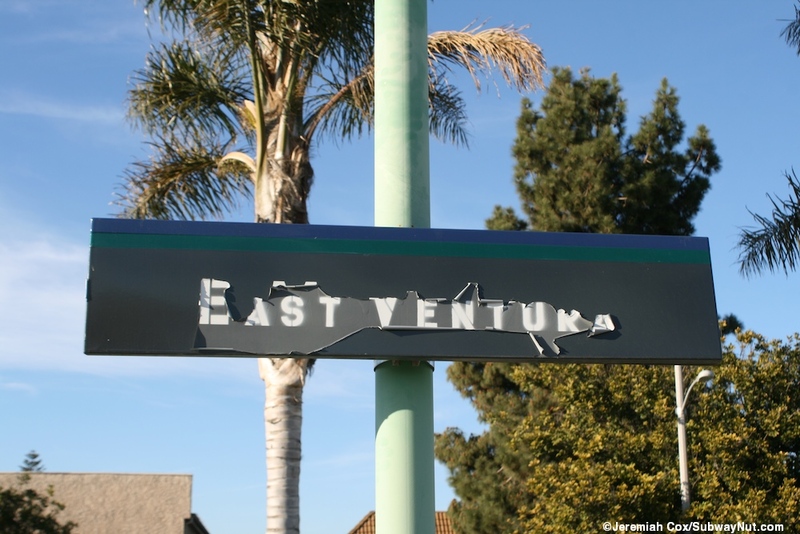 The only station signs are little ones on the platform lampposts and opposite them where <>East Venutra has been clearly applied over former Montalvo signs including the larger station one at the entrance to the station.